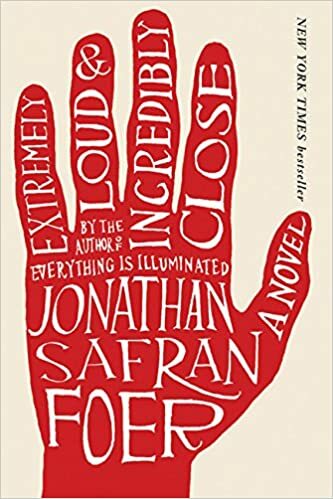 Extremely Loud and Incredibly Close by Jonathan Safran Foer made me deeply sad and impacted me in a way that only a truly beautiful story can. Oskar’s attempt to reconcile himself with his father’s death in 9/11 was interwoven with the story of his grandparent’s relationship. It was a tale of hope and despair, love and loss, childhood and adulthood. I was disappointed to read reviews that criticized Oskar’s quest and the silence of his grandfather as overdone and unbelievable, and I started to second guess the feelings I had while reading it, but when I thought about it, I think I understand the exaggerations. Oskar’s grandfather was so deeply heartbroken that he literally lost is ability to speak, and many know what it feels like to be choked by sadness and the inability to control the things that we need to make us happy. The literal silence echoed the figurative silence felt by those let down and heartbroken. Oskar’s quest to find the owner of the mysterious key unbeknownst to his mom does seem unbelievable at times, but he needed something to believe in and focus on. How is it possible to capture the sadness of those left behind after September 11th? Let alone the sadness of a child. Oskar felt lost and needed something to find that could make him feel closer to his dad. He was quirky and lovable and in utter need of a way to make sense of his world that was forever changed. I would recommend reading this with an open heart.